What Is The Cost For Mobile Home Leveling? So, how much to level a mobile home? Generally speaking a single wide mobile home costs $500 dollars to level and a double wide home costs $800 dollars. The cost to level a mobile home by my company only varies according to the size of the home and how difficult it will be to carry out the repair. We do not routinely give estimates because estimates cost time and money. These savings are passed on to the customer. Sending a skilled technician out to your property in order to give an estimate costs around $500 dollars. This includes the gas, the cost of the truck and the man’s wages. Generally speaking a single wide mobile home costs $500 dollars to level and a double wide home costs $800 dollars. Important Notes For Home Owners. The floor joists of your home rest on a concrete block pier and steel “I” beam foundation. The concrete block foundation can be adjusted height wise by adding or taking away the wooden shims located on the top of the piers. The four steel I beams which run the length of your home are flexible and will bend when the pier height is adjusted. The wooden floors and walls inside of your home, whilst also flexible, have been painted and caulked over the years. Depending on the severity of the re level some cracking may occur requiring joints to be re caulked. How Long Does it Take To Re level a Mobile Home? We will arrive at your property ready and prepared to carry out the re leveling project which should take no longer than 3-5 hours. Our crew will level the whole house at the I beam and not just where you are experiencing your specific problem. That way we know that your home will be put back to its original position. Will You Charge Me More Than The Phone Estimate? When we arrive at your home we will assess the situation and confirm what needs to be done informing you of the costs involved. The only time that our costs will vary is if there is a need for extra materials in the form of block and pads in order to complete the job. 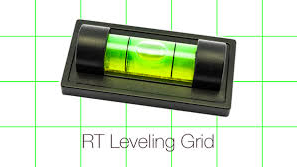 If there are any extra charges then you will be informed before the re leveling commences. At that point it will be up to you whether or not to continue with the leveling project. What is Included in the Cost of a Re-level? Checking all piers with a water level. Making any adjustments to ensure that the beams are completely level. Incidental materials needed to perform the re level, including pressure treated wood shims and wedges where required. What Items are not Included? Adding extra piers to the I beam, marriage line or perimeter. Tightening or replacing anchor straps. Fixing holes in the underbelly. Replacing old or broken skirting. Do You Give any Kind Of warranty? Yes we warranty our work for a period of one year from the date of your invoice. Please call us if you have concerns about the work performed or the materials used. Now you know how much it will cost to level a mobile home. Included in this article are some areas of concern that you need to be aware of before ordering your re level. If you have any other questions or would like to schedule a re-leveling project please call us today on 863 808 2200 or use the contact form by clicking here.